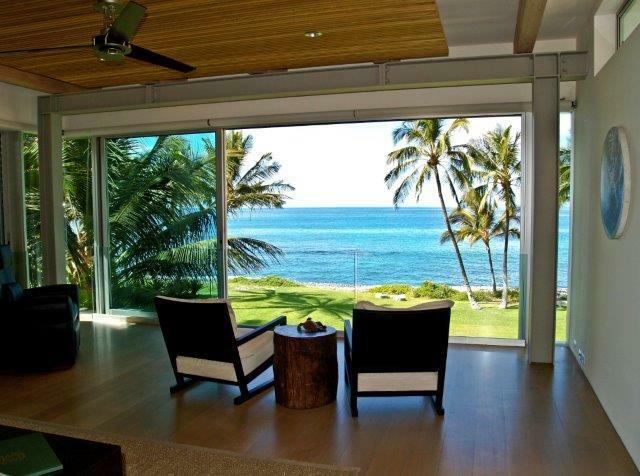 Designed by New Zealand architect, Pete Bossley, this stunning luxury Maui rental home is a one off, unique property. 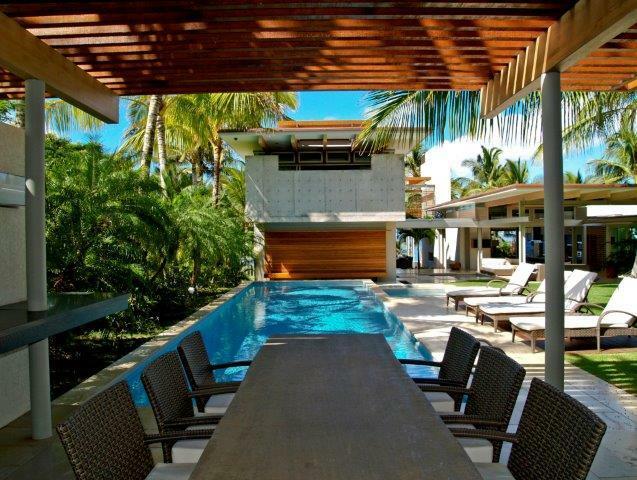 Comprising of 5 separate buildings facing on to an open courtyard and linked by covered walkways, it's built with an environmentally sustainable design and boasts commanding views of the ocean. Sitting within well- manicured gardens, complete with swimming pool, private gymnasium and spa pool, you'll love using this villa as your holiday abode. 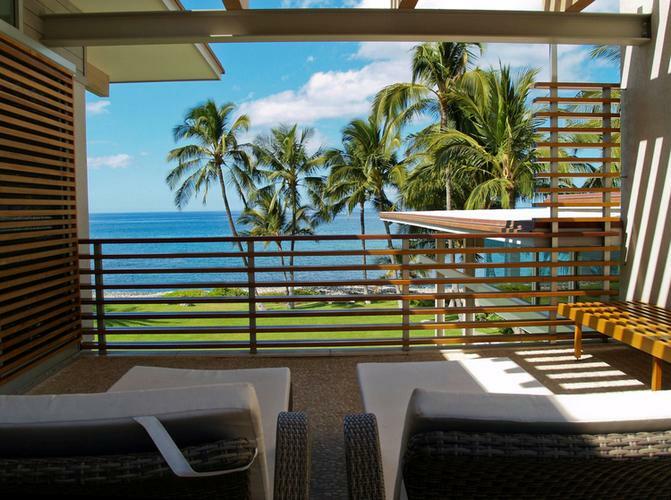 With premier golf courses, spa facilities, fine restaurants and designer shops in nearby Wailea, there really is something for everyone. 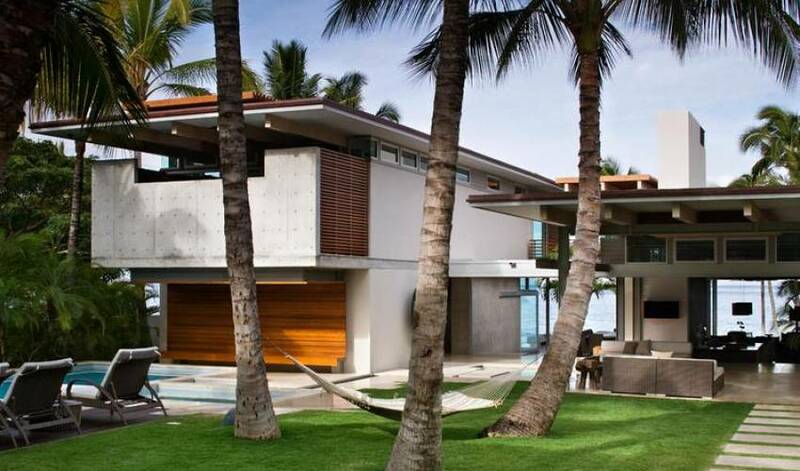 Boasting 5 bedrooms with flexible bed configurations, this Makena rental property can comfortably sleep up to 12 guests. 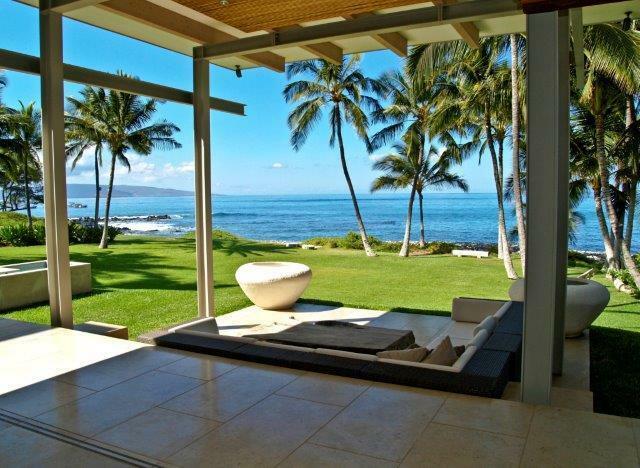 You'll be blown away by the contemporary design of this stunning oceanfront Maui property. 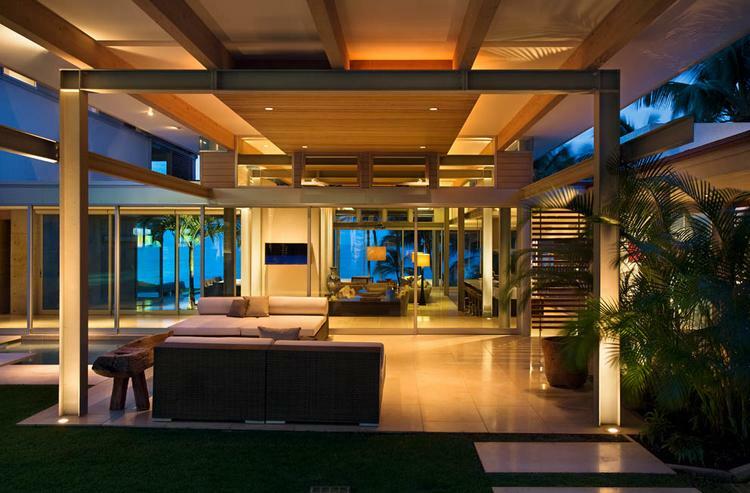 Floor to ceiling windows and a motorised door opens out the Great Room on to the sea facing terrace and plush green lawn. 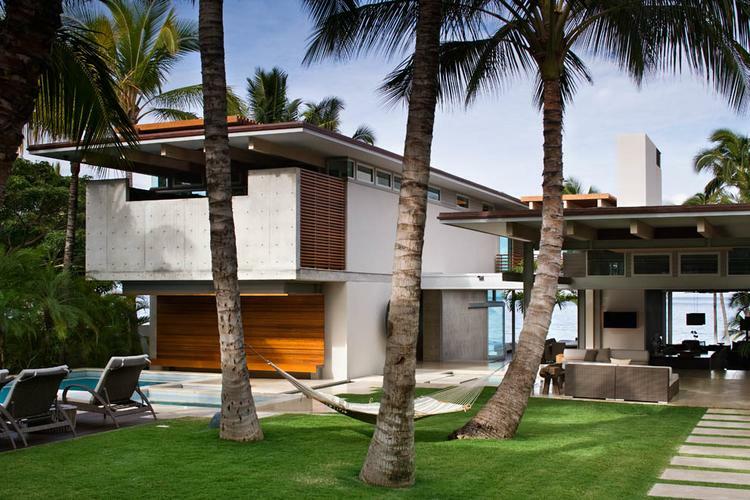 This offers a seamless flow between the indoors and outdoors. Living, dining and cooking areas blend effortlessly together thanks to light natural floor coverings and well grouped stylish furniture. Large comfy sofas, low tables and side lamps casting a gentle glow throughout, make for a warm and welcoming ambience in the living area. To one side there's a formal dining area with a large dining table and seating for 10, plus a well-equipped and stylish kitchen. With topline appliances and a spacious breakfast bar providing an additional area for food prep, guests can sit and enjoy a drink or quick snack. It's like living in a 5 star hotel. 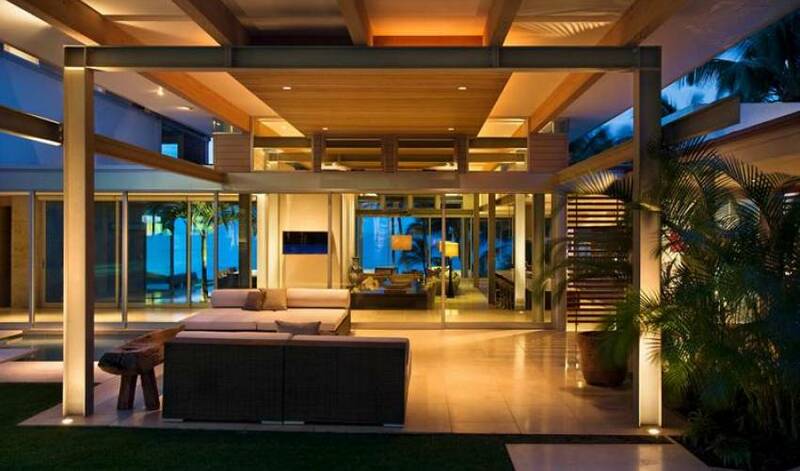 Motorised doors open up the whole of the Great Room allowing guests to wander indoors and out. 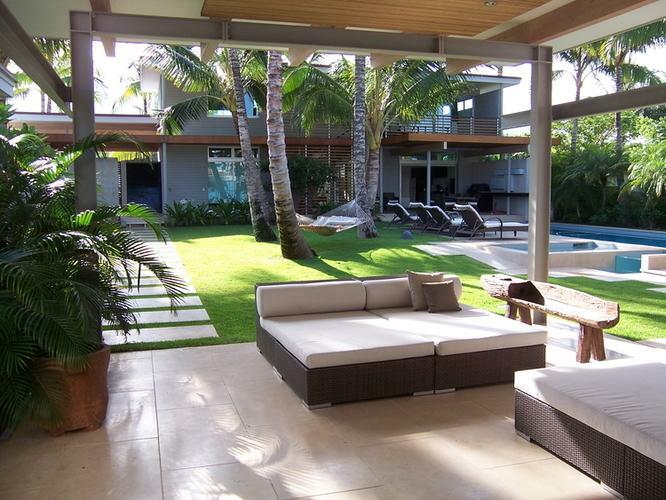 The wonderful manicured yard of this luxury Maui home is a sight to behold with numerous covered terraces and dining areas to enjoy. Fabulous luxury rattan furniture is provided for guests to lounge and relax and there's also a welcoming pool to cool off in. 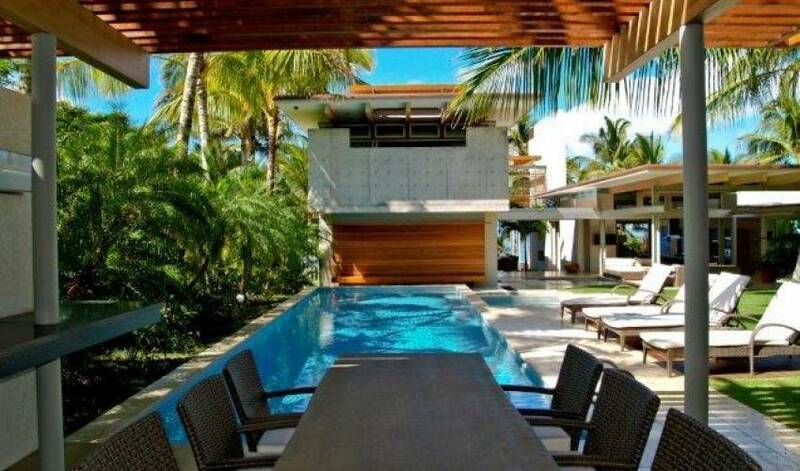 Surrounded by sweetly perfumed flowers and swaying palm trees, this truly is a taste of paradise. 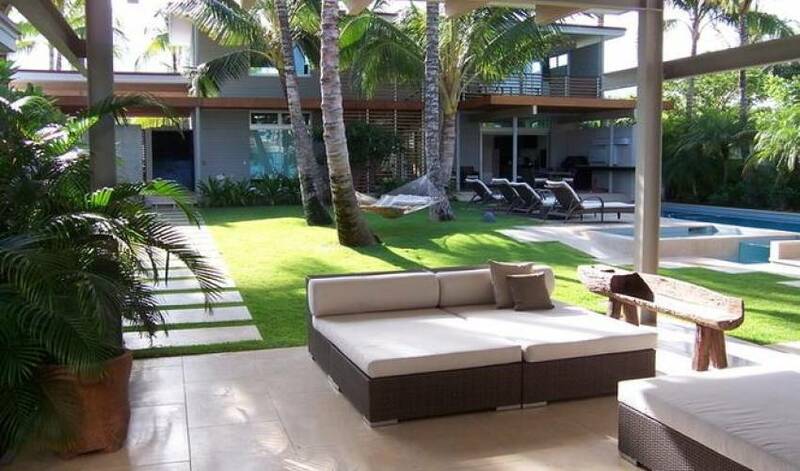 The sleeping arrangements are pretty flexible with this Maui luxury home rental boasting 5 bedrooms. The spacious Master Bedroom is located upstairs in the main house and has an expansive wardrobe, a stunning ensuite bathroom and a private bathing terrace. The remaining 4 bedrooms are housed on the ground floor with two of them located behind the swimming pool; Consisting of three rooms with queen beds and one room with 4 bunk beds. With an oceanfront setting, this has to be one of the best Makena rentals for large groups looking to enjoy a sunshine beach-based vacation. 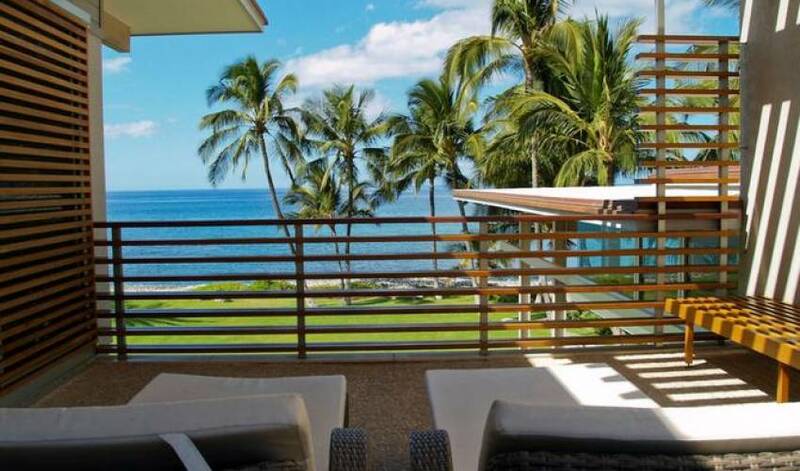 The whole of the Kihei coastline is renowned for one pristine beach after another and offering numerous water sports including swimming, sailing, wind surfing, snorkeling and diving, is ideal for water sport enthusiasts. 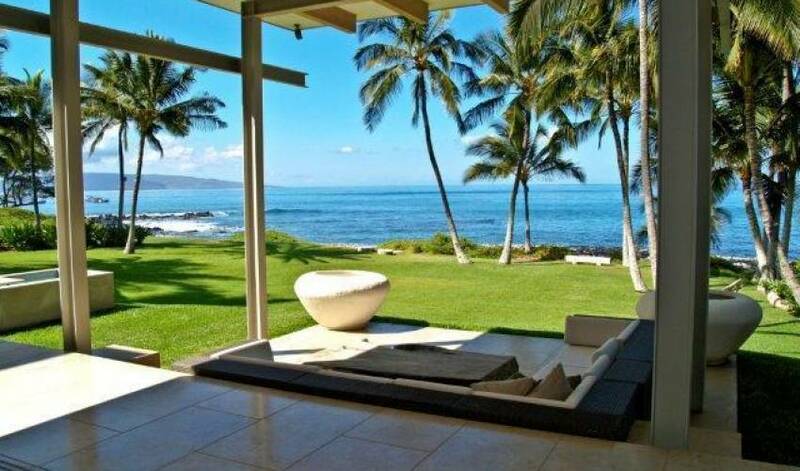 Golfers can also enjoy the public golf course in Kihei or indulge in the premier resort courses in Wailea and Makena. Those wishing to get close to nature can walk or cycle the beautiful countryside and will enjoy a visit to Kelia Pond. At the end of an active day, there are plenty of eateries to choose from depending on whether you fancy casual dining or something a little more upmarket. As soon as the sun has set, the night comes alive with dancing, sports bars and karaoke. Alternatively why not retreat back to your stylish Makena rental home, and enjoy a nightcap under the stars, sitting in the luxury of your spa pool? 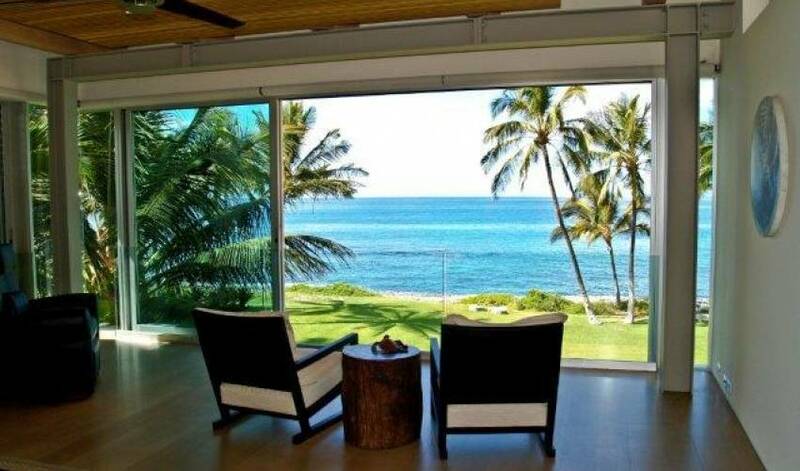 You and your guests will enjoy the vacation of your dreams at this stunning luxury Maui property. With its breath taking architecture, stunning views, and luxurious facilities, the happy memories of your time here will undoubtedly stay with you for a lifetime.